The following was written by David McAuley, founder of Short Articles about Long Meetings. Shop Made in DC (1333 New Hampshire Ave NW, next to Buffalo Billiards) received unanimous approval for a stipulated liquor license from Advisory Neighborhood Commission (ANC) 2B/Dupont Circle at its regular meeting October 11. However, there was some evidence that this DC-government sponsored retail establishment is having trouble getting its ducks in a row before its scheduled opening this month. “They keeping shuffling the dates when we’re opening,” Stacy Price of People Make Place, an organization that advocates for local businesses, said. Price and Stephanie Babin of the Neighborhood Restaurant Group made the presentation to the ANC in support of the request for a stipulated liquor license. A stipulated liquor license allows an establishment to serve alcohol while it is finishing the formalities necessary to get a permanent liquor license. It is one of the few acts that an ANC can take that is not only advisory in nature, that is, once an ANC approves a request for a stipulated liquor license, the license is routinely issued by DC authorities upon payment of a $100 fee. Price and Bavin told the ANC that Shop Made in DC plans to serve alcohol from noon to 8pm, even though its application, if approved, will grant them longer hours, including until 10pm. The shop is planning to have 20 seats inside and 14 seats outside, the presenters said, although their license application as written might allow them more. The ANC noted that the applicants did not yet have all the paperwork necessary to use the outdoor patio space, and that it wished to note that fact on the resolution otherwise supporting the liquor license application. Sidewalk cafes require a separate license from the District Department of Transportation, which in turn means a separate application to the ANC for approval. 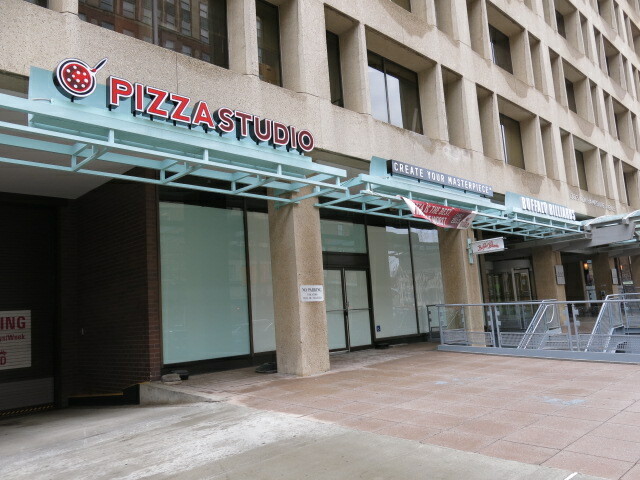 Since the October 11 ANC meeting was the last scheduled meeting before the planned opening, it would be impossible for Shop Made in DC to get approval before its long-planned opening this month. The presenters told the ANC that there had been a lot of interest at DC’s Department of Small Business and Local Development in getting the shop open on schedule, so they were looking into work-arounds that would allow the outdoor space to operate legally. This included possibly obtaining a special events permit from DC’s alcohol licensing authorities. The ANC amended its original resolution to note that its endorsement was conditional on the applicants obtaining the required public space usage permits.